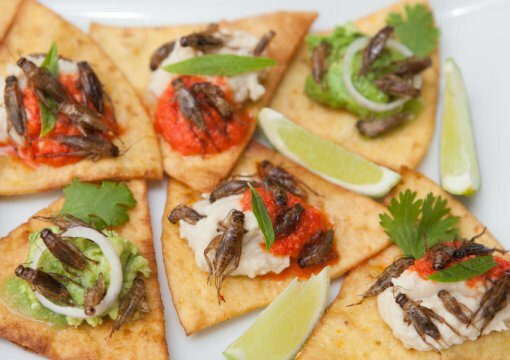 "Since there are both climate and environmental benefits of eating insects, we believe that this habit will become more common, also in Western countries. What our study shows is that it is possible to rear crickets on feeds that don't compete with other kinds of food production," says Anna Jansson. To be a climate and environmentally smart food, crickets have to be reared on feeds that have little value in other kinds of agricultural production, such as residues or weeds, and they must be cheap enough for poor people. Scientists know that many cricket species can feed on "a little of everything" but very few attempts have been made to rear crickets on residues, and none using weeds. A number of Cambodian weeds and various residues from agricultural and other food production were tested in the study. Today these commodities are available for free or nearly free, which means that even very poor people would be able to rear crickets, at least to cover their own family's needs. The best ingredients were cassava tops and the weed Cleome rutidosperma (Fringed Spider Flower or Purple Cleome), both of which could be used as a single ingredient cricket feed. Cambodia is one of the world's poorest countries. It is estimated that 40 percent of Cambodian children under the age of 5 suffer from malnutrition, which inhibits both their physical and mental development. The Swedish University of Agricultural Sciences has for many years run Sida-funded PhD projects in developing countries, and this project is one example. The above post is reprinted from materials provided by Swedish University of Agricultural Sciences (SLU). Note: Content may be edited for style and length.